How Long Before Levodopa Stops Working in Parkinson’s? Levodopa works to reduce symptoms in Parkinson's for as long as a patient takes it. However, as the underlying disease progresses and Parkinson's symptoms get worse, patients may need to increase their dose or take levodopa more frequently to experience the same reduction in symptoms. After taking levodopa for some time, typically a few years, patients may begin to experience a "wearing off" period, when symptoms return before it's time for their next dose of levodopa. This is also referred to as "off" time in Parkinson's. Some patients notice the return of motor symptoms during "off" time – that's why the phenomenon can also be referred to as "motor fluctuations." You may also notice a drop in energy levels, or an increase in muscle stiffness, depending on your individual Parkinson's symptoms. "Off" time can last anywhere from 15 minutes to several hours, depending on your current medication dosage. Talk to your doctor if you've noticed that your symptoms return before it's time for your next dose. There are a few adjustments that can help, including increasing your medication dose, changing medications, and adjusting protein intake. One reason patients sometimes put off starting levodopa treatment is to delay its side effects, particularly dyskinesia – uncontrolled movements that can look like smooth tics. Dyskinesia is a side effect of long-term use of levodopa, rather than a symptom itself. If you're experiencing dyskinesia, talk with your doctor. Adjusting your dose or using an extended-release form of levodopa can help reduce dyskinesia. Your doctor may also prescribe extended-release amantadine, approved to treat dyskinesia in August 2017. Some patients who experience severe dyskinesia also consider deep brain stimulation (DBS) surgery. Should I avoid taking levodopa for Parkinson's? Some people with Parkinson's put off taking levodopa to delay its eventual side effects. Parkinson's is different for everyone, and it's important to talk about your treatment options with a doctor before making a decision on your treatment course. Other medication options for Parkinson's treatment include dopamine agonists (e.g., Mirapex, or pramipexole) and MAO-B inhibitors (e.g., Azilect, or rasagiline), which can be taken alone or along with levodopa. DBS can also help Parkinson's motor symptoms. Again, Parkinson's is an individual disease, and it can take time to find the best treatment plan for you. It's important to note that no treatment has been found to be superior to levodopa, so many doctors advise against avoiding levodopa simply for the sake of avoiding it. Again, your doctor can help you make the right decision for your particular case. Parkinson's clinical trials are currently researching potential new options for treating a range of Parkinson's symptoms and side effects, including "off" time. If you're interested in volunteering, answer a few questions to see if you may qualify for clinical trials near you. 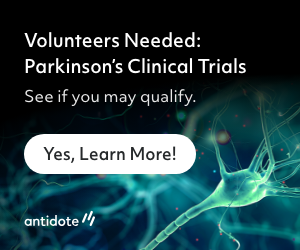 Parkinson's clinical trials researching "off" time need volunteers.